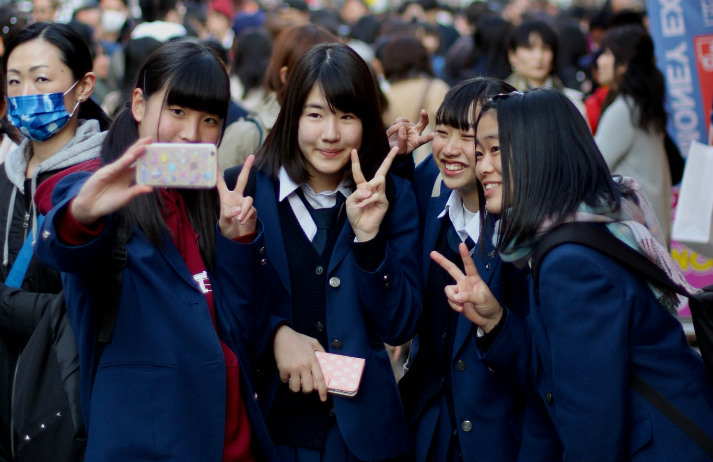 Discussions around the negative effects of smartphones tends to focus on younger generations, but a survey of teenagers in Japan reveals that they are unhappy with their parents’ behaviour too. One in five said they sometimes feel less important to their parents than their parents’ smartphones. ‘Phubbing’ – or phone snubbing – is a bad habit that’s typically associated with teens and social media addicts. But with research suggesting that parents are phubbing their kids at the cost of their happiness, a series of ads starring Will Ferrell is using black comedy to draw attention to the issue. What’s got Japanese people worried about their work-life balance? Why are more men staying at home to raise the kids? And how did Halloween become a national holiday? This Cultural Snapshot uses local stats and case studies to explore behavioural norms shared by Japanese people in 2017. Phubbing – or phone snubbing – is often imagined as a practice carried out by rude teenagers who would rather communicate via social media. But recent Gen Z complaints over their parents’ device usage highlights how they're re-evaluating technology’s impact on their relationships. In the US, 83% of new mums are Gen Yers, and though 88% of this generation want to avoid becoming a ‘helicopter parent’, many are happy to use tech to check on their kids. In the second of a two-part report, we ask if more dads will take paternity leave, and look at the rise of the ‘drone parent’.